Experienced defender Matthew Upson will become the latest addition to Nigel Pearson’s Leicester City squad after agreeing a one-year deal with the Club, starting from 1 July. 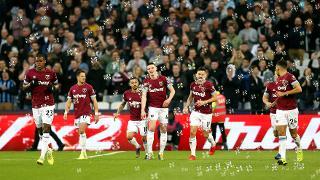 Upson’s contract with Championship play-off semi-finalists Brighton and Hove Albion expires this summer, and the in-demand former Arsenal and West Ham United centre half was delighted to agree terms with the Foxes. The 35-year-old boasts 22 England caps and 447 career appearances, and will bring a wealth of experience to City’s back line ahead of next season’s Premier League campaign. Upson’s commanding performances at the heart of the Seagulls defence has seen him lead them to two consecutive top-six finishes in the Championship, as well as scooping the Club’s Player of the Year award last month. The defender initially joined the Seagulls on loan during the second half of the 2012/13 season, before signing a one-year deal last summer after his contract with Stoke City expired. He went on to make 47 appearances in all competitions for Brighton last season, scoring twice. Suffolk-born Upson’s career began at Luton Town in 1996, where he made his league debut in a 1-0 win over Rotherham before being snapped up by Arsene Wenger’s Arsenal in 1997 for a fee believed to be in the region of £2 million. Premier League and FA Cup winners’ medals followed for Upson, as well as loan spells with Nottingham Forest, Crystal Palace and Reading, until Birmingham City swooped to secure his services with a £1 million move in January 2003. During his four years at St Andrew’s, Upson further enhanced his reputation in over 120 appearances, and even earned his first call-up to the full national team. His debut came under former City boss Sven-Goran Eriksson against South Africa in 2003, with a further six caps coming while at Birmingham. That impressive form persuaded West Ham to spend a reported £7.5 million to secure his services in January 2007, with Upson again going on to enhance his reputation across nearly 150 games for the Hammers. Upson scored both of his two England goals while with West Ham, both of which came against Germany. The first was England’s opener in a 2-1 friendly win in November 2008, before scoring the second during the 2010 World Cup in South Africa. The defender stayed with West Ham for four impressive seasons before, following the team’s relegation, he agreed a free transfer to Stoke City in the summer of 2011, after which he joined the Seagulls.